How RMIT melded its sharpest psychology and design minds to boost year-12 students’ collective memory with Sans Forgetica – just in time for the 2018 exam season. This article originally appeared in The Truth Issue, Marketing‘s first print edition for 2019. Every October, RMIT and 42 other Australian universities compete for the attention of almost a quarter of a million teenagers studying for their final high school exams. RMIT is a university grounded in technology, design and innovation, and has a focus on practical, hands-on learning. Based in Melbourne but with a global footprint of extended campuses, RMIT needed to reinforce its brand credentials as a cutting edge university to an increasingly globally-minded audience of prospective students. Primary among those audiences is school leavers. Like every university, RMIT is constantly striving to be the first preference for students finishing high school. Unfortunately, final year students are a demographic hard to reach with traditional paid media and are a target for many brands from both inside and outside the education sector. With seemingly little differentiation between university offerings, how could RMIT stay top of mind and reinforce the reasons to study there? The task for Naked was to develop a campaign that would reach school leavers at the very time they were making the decisions about their choice of university – during the revision window before their final year exams. Our solution would be judged both on brand metrics (reach of branded communications) and on engagement metrics (brand interactions and lead generation). Students finishing high school are busier than they have ever been in their lives, but they are consuming less media while focusing more on their study. Reaching them using traditional advertising is effectively adding to the unwanted noise that distracts them from this study. We posed the question: could a university with a vast array of skills and capabilities on hand find a way of communicating to students in a more useful way – one that may actually help their study? And, in doing so, could we actually provide a demonstration of RMIT’s approach to collaborative, hands-on learning, instead of just talking about it? We created the world’s first typeface specifically designed and proven to help users remember more… and gave it free to Year 12 students studying for their final exams. Rather than talking at the audience as traditional broadcast advertising does, we wanted to create something that Year 12 students would actually want to hear about. While investigating ideas for study hacks, we discovered previous research into the concept of cognitive disfluency: the principle whereby creating small obstructions to learning results in deeper cognitive processing, and subsequently better memory traces are created. This provided the inspiration for our solution. Using RMIT’s original motto ‘the skilled hand and cultivated mind’ as our guiding principle, we brought the science of psychology in RMIT’s Behavioural Business Lab together with the art of the School of Design. This team worked together with Naked to design, refine and test an entirely new font that became Sans Forgetica – The Font to Remember. The font launched in October 2018 as a free download for Mac or PC, as well as a Chrome browser extension. Unlike a traditional campaign, the heart of this project was the product itself, with the communications activity all serving to bring people to interact with the font. The heart of the campaign was the website, where people could learn about the font and how it was developed, download it or the Chrome extension, sign up to receive more study hacks and advice over the exam period or test the font for themselves with an interactive function that allowed them to save study notes. 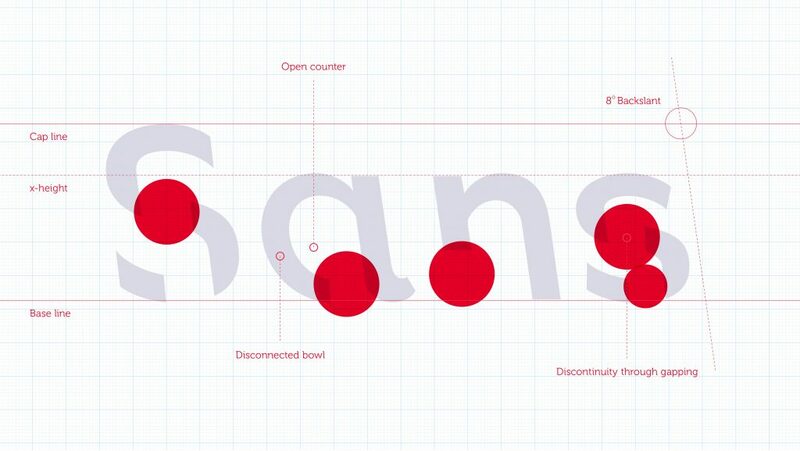 Hosting on the website and then sharing through owned channels, we created a range of videos that brought the story of Sans Forgetica to life. A short-form introductory video provided a versatile asset to explain the font, and more in-depth videos then explored the psychology of the font and the design process for its development. A strategy for paid search was developed to reach students while searching for information about the specific subjects they were studying. An analysis of key texts and topics included in the 2018 VCE and HSC exam syllabus informed a keyword strategy that ensured RMIT popped up as the answer to help students remember the most important aspects of their subjects. Complementing organic social activity through RMIT’s owned channels was a range of paid social media posts targeting students when they were taking a break from their studies to catch up on their social world. Executions in this channel took a more light-hearted look at the hassles and stresses students feel while studying, before introducing Sans Forgetica as the ultimate ‘hack’ to help them. The school student cohort were also reached through a schools outreach program, with beautifully crafted books sent out to principals and careers advisers at schools across Victoria. Each book provided the in-depth story of how the collaborative process brought together different disciplines within the university to deliver a genuine real-world innovation. And, with the font included on a USB drive that came with the book, it was in the hands of people who could influence large numbers of our target audience. While the core acquisition audience was local school leavers, at a brand level RMIT wanted to be known as a world-class global university while based in Melbourne. A PR strategy was therefore developed around two key local audiences – Year 12 students and their parents – but also a broader national and international audience with the aim of delivering brand reach. We understood that the best way to gain PR traction was to tailor the story to different target media, to provide a comprehensive suite of assets to media to make their lives easy, and to have key members of the project team on call ready for interviews. We targeted general news media, technology, design, psychology, education and youth media. Results above are for the first six weeks after the launch: the key revision and exam window for school leavers. Given the nature of the project, font downloads and leads will continue to be delivered on an ongoing basis. So much more than a traditional advertising campaign, Sans Forgetica has become a product with its own place in culture. People are sharing and using the font in their own quirky ways, and academics around the world are in discussions with RMIT about further research applying Sans Forgetica in clinical applications, as well as extending it to other languages.